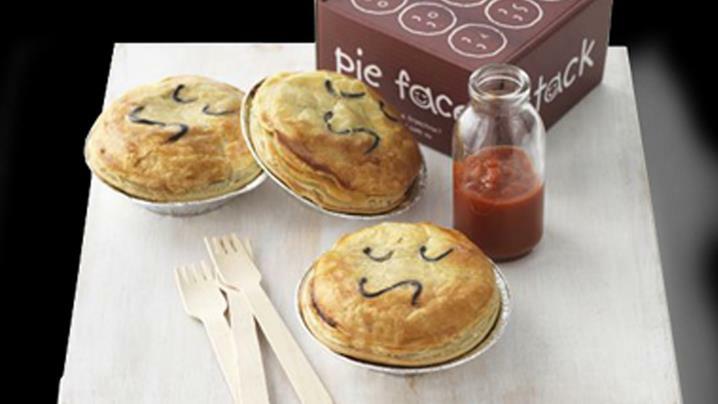 [Pie Face]…faced legal action by a group of franchisees over allegations they had been misled with regard to potential profits and costs. The Australian Financial Review reported a trio of franchisees, Prit Dutta, Aleks Trajceski and Tom Bulmer, believe they collectively missed out on $2 million in projected earnings. The most recent sign of trouble was the closure of seven Pie Face stores in New York. National bakery franchise Pie Face has been placed into voluntary administration, but promises to keep operating while administrators review its operations. The company issued a statement this evening saying administrators Jirsch and Sutherland had been appointed. Earlier, two franchisees confirmed to 9NEWS that a letter had been sent from head office today announcing the move. The company said it was a voluntary administration and the company would continue trading. "The move comes as part of a wider company review, which will see the company focus on supporting the growth of its franchise-operated stores as well as the wholesale business," the statement read. "The international businesses are not affected." Established in 2003, the company owned and operated 20 stores in the first five years, before moving to a franchise model, adding 60 stores. Last year, the Australian business faced legal action by a group of franchisees over allegations they had been misled with regard to potential profits and costs. The Australian Financial Review reported a trio of franchisees, Prit Dutta, Aleks Trajceski and Tom Bulmer, believe they collectively missed out on $2 million in projected earnings. The most recent sign of trouble was the closure of seven Pie Face stores in New York. Despite being featured on popular program, the Late Show with David Letterman, and a reported $15 million investment from casino mogul Steven Wynn, sales in the US market did not meet expectations. The company was still promoting its wares via its Twitter and Facebook until last week.